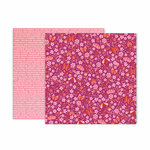 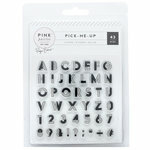 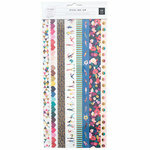 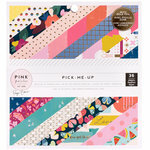 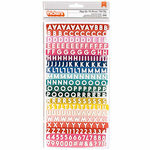 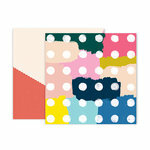 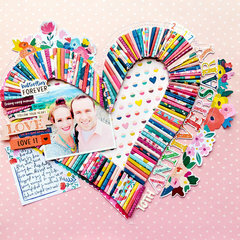 Get warmed up for your next papercrafting project with the Paper 9 Double Sided 12" x 12" Paper that is part of the Pick Me Up Collection by Pink Paislee. 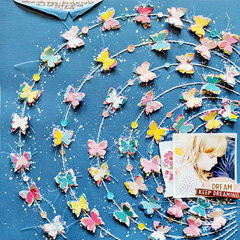 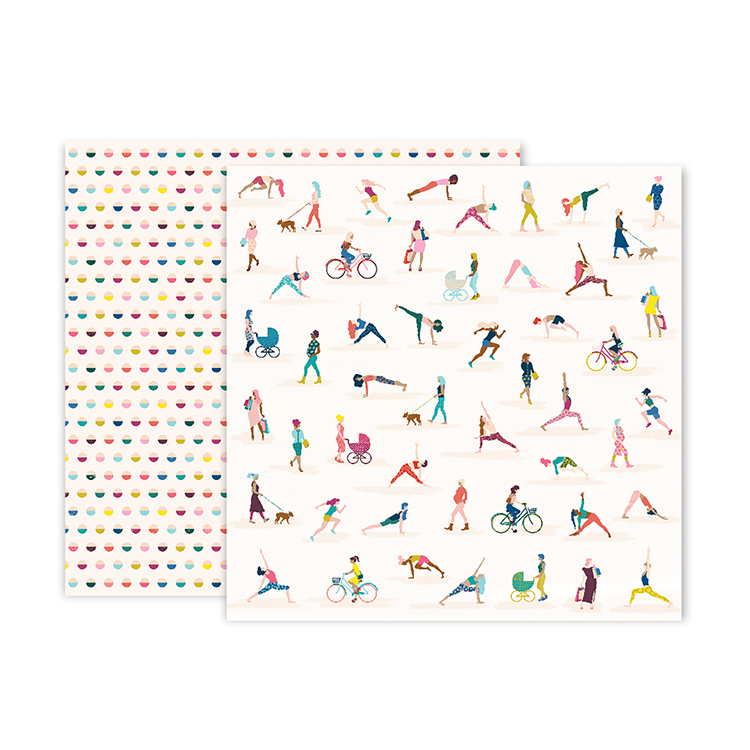 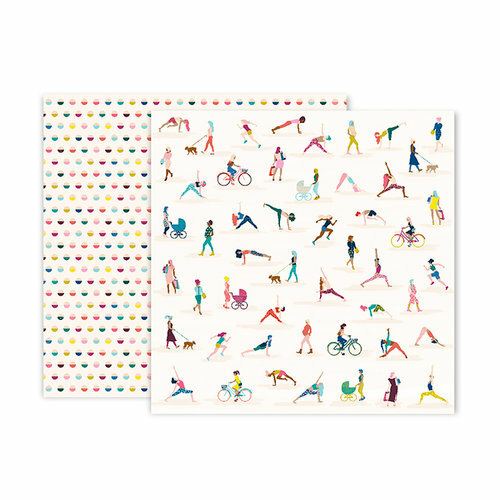 The paper features people working out on one side and a colorful dot design on the other. 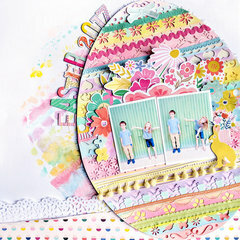 The paper is designed by Paige Evans.